If your dad wants to go "Hollywood" for Father's Day, but you don't have the connections to introduce him to Beyonce or Angelina, you can do what kids do -- just pretend. Once inside, dads can take pictures and hob nob with celebrities, politicians and even a few dead presidents. And for no extra charge, dads and the entire family can go on the Madame Tussauds Great Leaders Scavenger Hunt and learn about great leaders in history, sports and entertainment. At Madame Tussauds you can touch, hug and even kiss the wax likenesses of your favorite celebs or, if you want to be really Washington, the president and first lady and Bob Woodward. In addition to J Lo, and Denzel, the museum recently added Selena Gomez, the Jonas Brothers, Michael Jackson, Britney Spears, Penelope Cruz and Tyra Banks. The special runs for three days -- June 19-21. For more information visit. 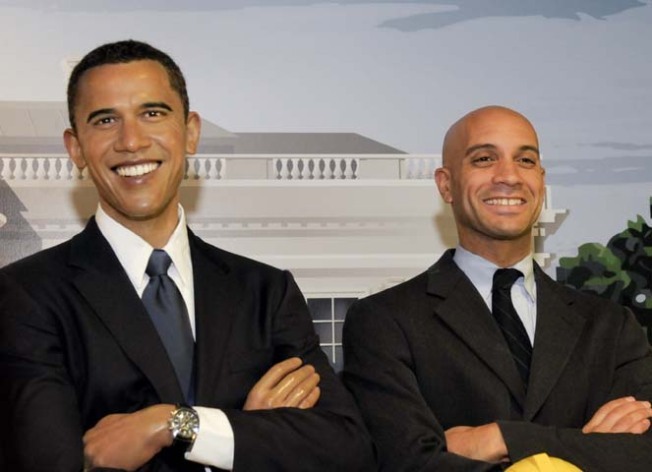 www.madametussaudsdc.com.